Best throw pillow realizes you that your home is much more than a place to retire to after a long day of work. It is the place in which you entertain family and friends and make lifetime memories in. It, therefore, goes without saying that a stylish and comfortable home is a desire shared by many. The thought of interior decor for your home may seem tiring and expensive. It, however, does not have to be. Simple items such as best throw pillows can go a long way in giving your home a new lease of life. A little thought has to go into purchasing the best throw pillows for your home. 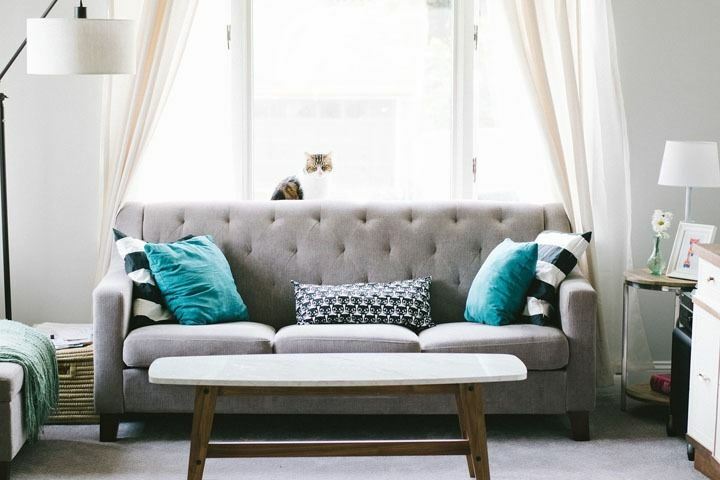 While it is perfectly fine to be adventurous with your purchases, there are a number of considerations that need to be made in order to achieve the desired effect for your home. In case you are wondering what we’re talking about, read on to find out all you need to know about throw pillows. What are throw pillows used for? Why should you use a throw pillow? Factors to consider before choosing the best throw pillow? Throw pillows (or scatter cushions) are essentially decorative pieces used to improve the aesthetic appeal of a home. The term ‘throw’ is used to emphasize the loose nature of their placement around the home. Throw pillows are generally small in size ranging between 18 and 24 inches in width. They are made from fabrics with different textures and colors and they come in a variety of shapes. Throw pillows, however, do much more than making a home prettier and more comfortable, they also offer support to our upper back bodies, neck, and head. It is for this reason that they are designed to be soft and squishy. The obvious answer to this question is that they are used in a home! But where within the home are they ideal? Throw pillows are versatile in that they can be used within the living areas of the home, the bedroom or even in your home office. Any part of your house that people spend time either sitting or lying down can be compatible with the use of a throw pillow. So if you have a sofa or couch, daybed, armchair or a bed that is looking rather plain, maybe it is time that you should invest in a throw pillow. Throw pillows come in a variety of sizes, colors, and shapes. They are mainly differentiated by their shapes and finishing. On account of shape, these pillows are categorized as square shaped, box pillows, rectangular pillows, bolster pillows and round pillows. On account of finishing, they are categorized as corded or welted pillows, flanged pillows, and knife edge pillows. Square pillows are the most ubiquitous. This shape is common due to its ease of use. You can use square pillows on sofas, beds, and armchairs. Box pillows get their name more from their dimensions rather than their shape. They are made to have thicker edges and may take rectangular, square or round shapes. These pillows are preferred by those looking to play with dimensions of their living spaces. Rectangular throw pillows are another people’s favorite. Like their square counterparts, these pillows work well on sofas, armchairs, and beds. Here, you can play around with the placement and have them either horizontally on your sofa and, or bed or place them vertically in your armchair. Bolster pillows or neck rolls take on a cylindrical shape. They are usually placed on sofas or used in beds. On sofas, they are most likely to be used as a substitute for an armrest. While they are no longer popular, some people still prefer that dated feel they bring to a room. Welted or corded pillows can take on any of the aforementioned shapes. These pillows get their name from the cord or welt that is used on the edge of the pillow. Some welted pillows make use of the same fabric for the welt as that of the rest of the pillow while some use either contrasting colors, fabric textures or patterns. Knife-edge pillows get their name from their sharp edges. As far as throw pillow designs go, these pillows take the cake for being simplistic. They are typically two different pieces of fabric sewn together to give that thin, sharp edge. Flanged pillows get their name from the extra piece of fabric attached to its edges. Like welted pillows, this additional fabric (flang) can either be similar to that of the rest of the pillow or can differ in color, pattern or texture of the fabric from the rest of the pillow. As earlier mentioned, throw pillows have multiple roles. They help to beautify your home, make it comfortable and inviting to both you and your guests while providing support to your head, neck, shoulders, and back while you sit to enjoy a book movie or a chat with a friend. Throw pillows help to improve your posture. Whether you are sitting or lying down, having a throw pillow with you is a good way to maintain the alignment of your spine in a neutral position. This, in turn, helps to keep you from developing a sore neck or back pains everytime you choose to relax on your sofa. They help improve your comfort. These pillows are designed with comfort in mind. Their soft and squishy features are particularly useful where comfort is concerned. They help protect your children. If you have toddlers in the house, then you constantly worry about them rolling over and falling on the floor, eventually hurting themselves. Throw pillows can come in handy to both keep them from falling as well as cushion their fall. Simply place them on the floor next to the sofa to protect your children in the event of a fall. They also come in handy in providing support for your toddlers when they first start discovering what it means to sit. They offer emotional support. Think of throw pillows as a combination of a teddy bear and a punching bag. Whenever you have the urge to just scream at something or punch something, reach for a throw pillow. Punching one of these to relieve your frustration is much better than punching a wall. When you feel lonely or sad, hugging your throw pillow does actually help to make you feel much better. By now you see the point of having throw pillows in your home. How then do you know what throw pillow will work best for your needs? There are many considerations that need to be made before you can settle on a given pillow. Here are a few rules that apply to choosing the best throw pillows. Consider The Your Theme: The purpose of a throw pillow as an aesthetic piece is to marry all the different elements of a room into one neat package. For this to happen, you need to consider the theme of your home. If you are going for a more vintage or classical look, then round and bolster pillows would suit your room best. If going for a more modern look, then you have more room to explore with a combination of patterns, texture, and sizes. Pay Attention To Color: Now that you know what look you are going for, it is time to choose pillows that help you achieve it. The color of your pillows should compliment the rest of the room. This does not mean that they have to match the couch or the walls. You can choose to play with different shades of the same color or mix and match colors within the same family. Here is a good tool to play with and find some color combinations. Play With Patterns: When it comes to patterns, and especially when mixing and matching them, there are a few rules that you need to keep in mind. If looking to have more than one pattern, it is advisable to blend a bold pattern with a smaller pattern. If looking to have just one pattern, consider making it a bold one and blending it with a solid color pillow. Whichever option you choose to take, ensure that the patterns on the pillow complement the rest of the pieces in the room. Also with patterns, less is more! Shape Of The Pillows: Different shapes have different effects on the living space. Rectangular and square shaped pillows are ideal for anyone looking for a versatile and easy to use pillows while round ones work better for those looking for a more classical feel. If you have an L-shaped sofa or one with no armrests then a bolster pillow would be ideal for you. Size Matters: The size of the pillow should be chosen with the piece of furniture for which it is to be matched in mind. A large pillow on an armchair may prove to be rather uncomfortable while a small pillow on a large bed will look misplaced. If you are looking to use multiple sizes of pillows on one piece of furniture, then the rule of thumb here is to always ensure that the smallest piece is in the middle and the largest at the edges of the furniture piece. Pay Attention To Details: The decorative details on throw pillows could be what makes or breaks the aesthetic appeal of the entire room. If the theme of your home is a more classical or traditional one then details such as roped cords, and tassels on your pillows would work well. If using welted pillows, then having the fabric of the welt match that of the rest of the pillow will also be useful in achieving a classical look. For a more modern look, consider a pillow that makes use of contrasting fabrics. The Purpose Of The Pillow: Since a throw pillow does more than just beautify a home it is important to think about its functionality when shopping for one. If your pillows are solely for decorative purposes then you have a lot more freedom in the texture, color, shape, and size of the pillow. If it plays a more supportive function then you might be limited to seeking comfort and support over style. Having dark colored pillows is preferred when you have children in the house and when the pillows double as sleeping pillows either for yourself or your guests. Pillows with tight fabrics are ideal for rooms that people often interact with. The Pillow Inserts: Lastly, pay attention to the inserts used for your pillow of choice. If the pillow is solely for decorative purposes then polyester inserts would fit the bill but if looking for a more supportive role (which is often the case) then down, synthetic or feather pillows should do the trick. There are a number of throw pillow available on today’s market. It would take a ridiculously long amount of time to sift through all of them and decide which works best. 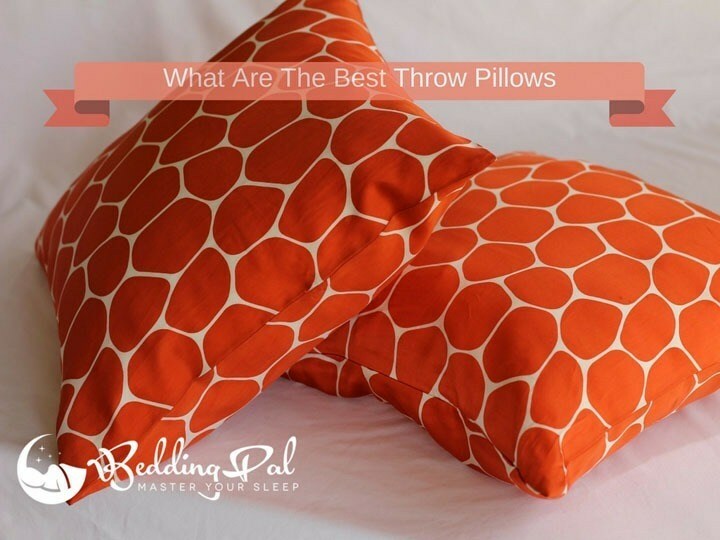 That notwithstanding, we took the liberty of looking into six of the best sellers when it comes to throw pillows and included a review that features the pros and cons for each of them. Throw pillows are designed to improve the beauty of any space. The Brentwood 18-inch Mongolian Faux Fur pillow does just that. Being a product of Brentwood Originals, this pillow lives up to the high quality that is associated with the brand. It works particularly well with dull surfaces such as leather couches. Its square shape makes it ideal to be used in different parts of the room. It is as comfortable to lean on thanks to its polyester fabric and its plush filling. Its filling helps this throw pillow perform its supportive function when used. This way, you are not only comfortable but you are also maintaining a healthy body posture for your spine while at it. Apart from offering its users with comfort, this pillow is easy to clean. All you need to do is wipe it down with a damp cloth and you are good to go. What’s more, since this fluffy and soft pillow comes in white, it is pretty easy to blend it with other colors and patterns. You could also choose to just use it as is especially if you pair it with a dark colored sofa. Spending time with family and friend, or even alone with a book, does not only happen indoors. Ever so often we like to take the party outdoors. It is for this reason that the Greendale Home Fashions 17 in. Outdoor Accent pillows have earned a mention in this guide. These pillows come in a variety of colors and patterns that help to make your outdoor furniture comfortable and stylish. Its square shape and the fact that it is 17 inches in length and width makes it compatible with a number of placement options. In order to fully live up to their purpose, these pillows are made to be plump but soft. They are overstuffed with poly fibers that have been derived from recycled plastics in order to give them the ability to push back against your weight in order to provide adequate support. Since they are being used outdoors, they are made of UV resistant polyester fabric. This not only makes them suitable for outdoor use but long lasting as well. To further improve their longevity, the pillow fabric is slightly coarse. This does not, however, impede on its comfort in any way. The combination of the coarse fabric and its UV fade resistant properties allows you to enjoy the comfort of the pillow and the beauty of its vibrant colors and unique designs for a long time. The Greendale Home Fashions Rectangle Outdoor Accent Pillow is built for durability and outdoor use. It features a UV, stain, and water-resistant fabric. This means that you can enjoy yourself in the company of family and friends without having to worry about messy stains on your pillows. To make them comfortable and to give them the ability to provide adequate support, these pillows are overstuffed with poly fiber and the outer fabric is polyester. What’s more, the fill of these pillows is derived from recycled plastic bottles making them environmentally friendly. They measure 12 inches in width and 19 inches in length. To allow you to express your creative genius, the Greendale Home fashion Rectangle Outdoor Accent Pillows come in a variety of colors and patterns. Since they come in pairs, it is much easier to find patterns that complement each other as opposed to shopping for individual pieces. When buying a throw pillow, it is always a plus when you find a versatile one. The Pillow Perfect Decorative Multicolored Modern Floral Rectangle Toss pillows offer their users with the ability to use them both indoors and outdoors. These pillows not only give your space a modern look but can be suitable for a more classical look as well. They make use of spun polyester as the fabric of choice while they are filled with polyester fiber. The fabric makes them UV fade and weather resistant. These properties work to give the pillows their durability and comfort features. Their plush fill also works to improve the comfort and support derived from this pillow. They can easily be cleaned either by hand drying or spot washing. The fact that the cords of these welted throw pillows are made to match the fabric used on the rest of the pillow is an added advantage for anyone looking to achieve a clean and classic look to their indoor or outdoor spaces. These pillows measure 18.5 inches in length, 11.5 inches in width and 5 inches in thickness. However, these dimensions are subject to a 1-inch margin of error since they are handcrafted. You don't have to buy many different throw pillows for different occasions. As a cheap alternative, we encourage you to buy some throw pillow covers as well. It will add more dynamics to your interior. When thinking about decorating or redecorating your home, the thought of having to mix and match every single item to achieve a wholesome look can be rather scary. When it comes to throw pillows, the Top Finel Durable Cotton Linen Square Decorative Throw Pillows cushion covers have you covered! These covers come as a set of six pieces. This is an ideal solution for someone looking to explore color and pattern option but is a newbie to the art of home décor. It is designed to incorporate a variety of patterns into a teal and white color scheme. Since these patterns are meant to go well together, you can easily pull off having multiple patterns without your room looking too busy. The choice of fabric is also a plus. Not only is cotton linen a durable fabric, it is also easy to blend with a wide array of fabrics. You, therefore, get the freedom to place them almost anywhere without worrying about how well they will go with the rest of the furniture pieces. Home Brilliant Decor Supersoft Striped Textured Velvet Corduroy Decorative Throw Toss Pillowcase Cushion Cover has earned a spot in this guide due to its versatility of use. This pillow covers have a comfortable corduroy fabric and a simple striped design. The striped design allows them to be used in various places within the home. You can use them for your living room as well as your bedroom. They are also easy to maintain. When machine washing them, it is advisable that you use the gentle cycle and latter tumble dry them to enhance their longevity. The hidden zipper makes them easy to insert and remove the pillows covers as needed. 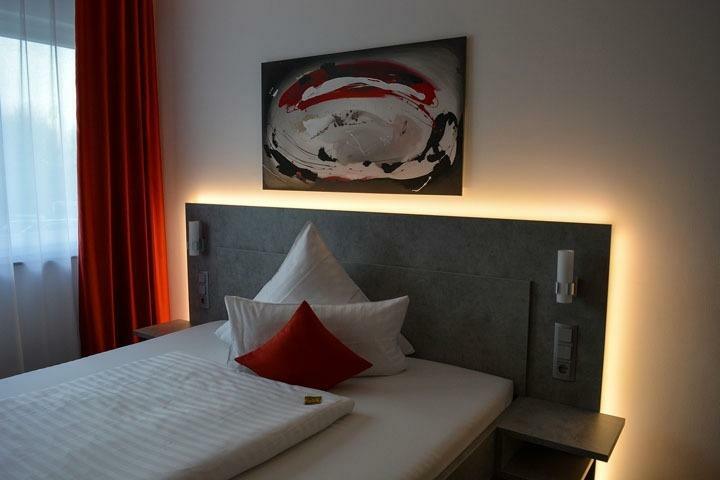 To add to their versatility of placement, their choice of fabric makes them compatible with sofas and beddings made of a wide variety of fabrics including linen and leather. These covers come in a variety of colors that makes it possible for you to both explore your creativity and find something that would suit your room perfectly. Best throw pillows have the ability to bring life into your living space. By experimenting with patterns, sizes, and colors, one can easily achieve an ultra-modern look as well as a more traditional one. Be sure to fully understand what look you are going for before you purchase your throw pillows. A little research into the quality of the pillow and, or the pillow cover could go a long way into saving you time and money in the future. Always remember that less is more. Try not to overdo it with the patterns and color. Instead of a stylish finish, you will end up with a clumsy looking room. Lastly, for all your pillow needs, check out our best pillow reviews.